will you be ready by 2019? From April 2019, all VAT-registered businesses with a turnover above £85,000 p.a. will have to maintain records digitally and process VAT returns through a digital accounting system. Today, only 11% of VAT returns are filed this way, so if you don’t currently use compatible software this could have a real impact on how you work. With just over 6 months until MTD becomes compulsory, it’s vital you start understanding what is involved now - as it will take time to adjust to the new process. 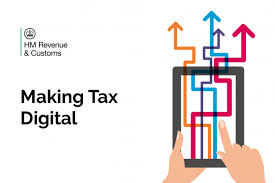 In our latest webinar, Sian Kelly from Inform will take you through a step-by-step guide covering everything you need to do to prepare for Making Tax Digital.